Tipperary company, Ryans Cleaning have been recognised as one of Ireland's best small businesses by the Small Firms Association (SFA). 30 companies from 13 different counties have been shortlisted as finalists in the SFA National Small Business Awards 2017 and Ryans Cleaning, a corporate and event cleaning specialist firm, are proudly amongst them. For over 30 years Ryans Cleaning have been successfully servicing a wide range of events, from one day shows to week long events in Ireland and the UK. From their base in Tipperary, the team at Ryans Cleaning have become industry leaders and their cleaning systems are renowned for a consistent and quality service. All events are meticulously planned and professionally handled to suit the specific requirements of each event and venue. Irish clients include Croke Park, Punchestown Racecourse, Bord Gáis Energy Theatre, The 3 Arena, Electric Picnic and The Ploughing Championships to mention but a few. With a varied mix in the UK including London's Hyde Park, Latitude Music Festival, The Epsom Derby and BBC's Proms in the Park. Ryans Cleaning continue to set standards in the cleaning and waste management business. This unique family run company is fully audited and accredited by the International Standards Organistaion (ISO) with no less than 4 unique top European Certificates in Quality Management Systems (ISO9001), Environmental Management Systems (14001), Occupational Health and Safety (OHSAS18001) and Event Sustainability Management Systems (ISO20121). 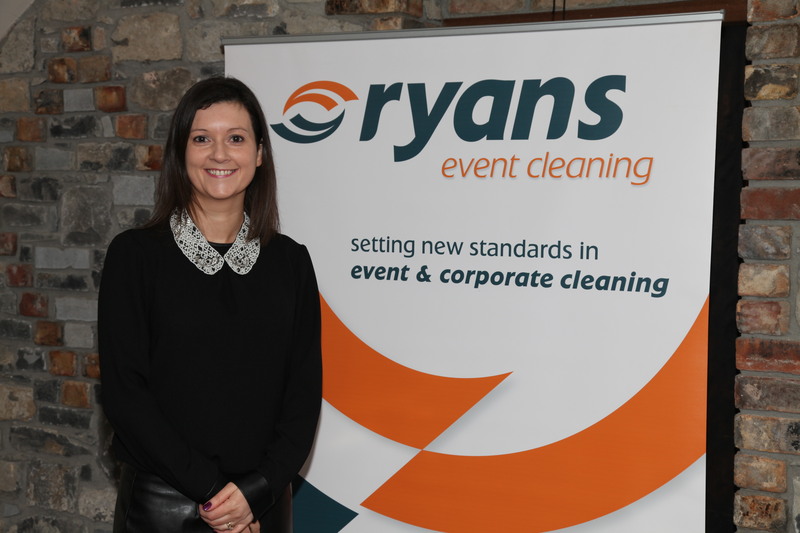 Ryans Cleaning have taken part in a gruelling qualifying process including interviews, presentations, masterclasses and most recently a showcase at the RDS where judges mingled with finalists for the last time before making their final decisions. Overall winners will be announced at a special SFA Ceremony at the RDS on March 1st.